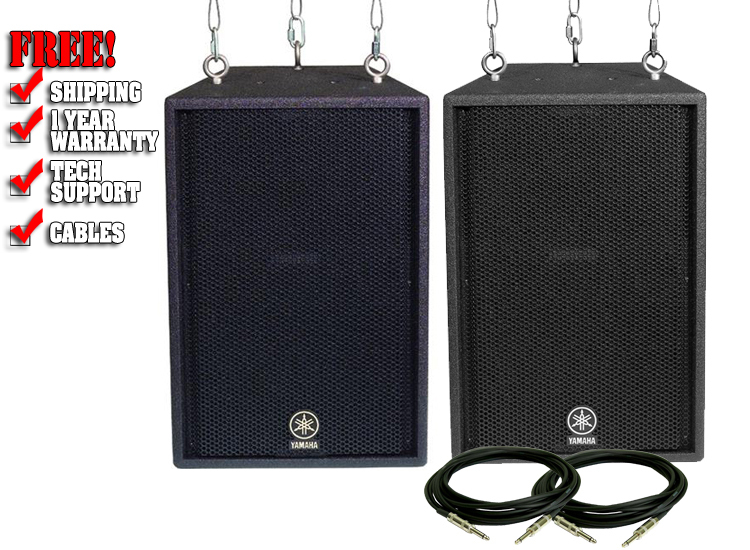 The Yamaha C115VA represents the latest evolution in the Club Series speakers. 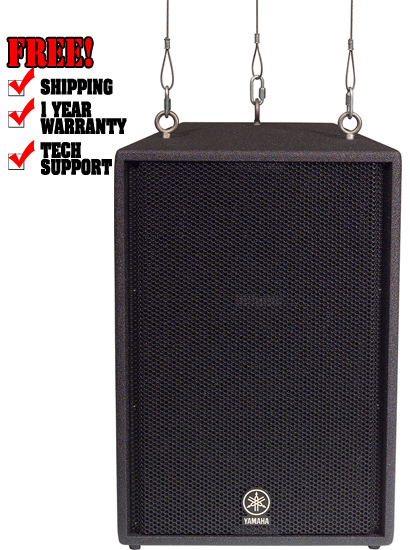 This 15-inch 2-way enclosure is great for PA or dance music playback systems. It has a big 500 watt power capacity (1000 watts peak @ 8 ohms) and includes a 15" woofer and a 2" titanium high-frequency compression driver. The trapezoid-shaped box C115VA is coated with a heavy-duty elastomeric spray coating. Designed as an installation alternative to the carpeted S versions, they can easily fit any décor. The finish is very tough, and readily paintable to match surroundings. The steel grilles are foam-lined with acoustically transparent material to provide a more subdued appearance. Adding 12 integral fly points and screw terminal inputs, the C115VA is ready to hang right out of the box. With professional features, excellent sonic performance and great value, the Yamaha Club Series loudspeakers deliver premium quality night after night. Size: 19" x 28" x 15"